Day 6: Visioning and Challenge Identification (aka Action Planning, Part 1) – Review of last session’s evaluations, our rules of play, and the past 5 sessions – Revisiting our responses to Because of digital technologies, our world today is more… (keywords and convergence) – Whereas… Therefore activity – Challenge identification: XPLANE cards – Analyzing our group narratives using Bolman & Deal and an effort-impact matrix – What are our biggest anchors that are slowing us down? It wasn’t just a sit and get. We used different tools without them being ‘taught’ to us. The chance to discuss and ask hard questions about where we are at was great. The Whereas… Therefore exercise was difficult for me until the very end. Hearing the thoughts of all of my colleagues was powerful when it all came together. All the interaction and discussion with my table group. Lots of laughter and rich discussion. So powerful to work collaboratively with table mates to plan a unit of study. Really helped with my level of understanding of how we want our staff to plan. You made a very complex topic much more palatable. It was a challenging topic with many pieces, but due to your careful planning, the flow seemed more natural. Thank you. I am really enjoying these times to learn and grow. Thank you for yet another enlightening day. They are always exhausting but I learn so much. It’s amazing to see how far we’ve come as a group since September. Our progress is faster and more significant every time we’re together. We are more cohesive and in alignment with our thinking than we were at the beginning of the year. We also had fun as we learned. Best PD ever – applicable, engaging, empowering, collegial, just AWESOME! It goes without saying that for many, finding the time to do their own PD is a real problem. No great answer to this is apparent other than a cultural reframing, one that is already underway. And that means schools should consider a reframing of their own learning time. For example, last year the Community Consolidated School District 59 in Arlington Heights, Illinois, was able to create sixty-three hours of professional development for administrators around modern learning contexts in an effort to begin real culture change. . . . We in schools need to make the time to understand these shifts for ourselves. Two years later District 59 is in a significantly different place than before. They have continued learning, talking, and implementing. They are ROCKING OUT. This is absolutely, positively, without a doubt my favorite kind of work. When we engage in sustained, extended discussions over the course of multiple months or years, we can see shifts in thinking and capacity occurring over time. We can see folks getting excited about the possibilities. We can build shared understandings and commitments. And we can build on all of that to start implementing new instructional and leadership paradigms in schools and classrooms. 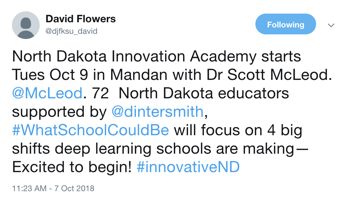 Not every district is fortunate enough to have an amazing superintendent like Art Fessler, who recently was named as one of the National School Boards Association’s ’20 to Watch.’ Not every district is fortunate enough to have an amazing assistant superintendent like Ben Grey, who planned and co-facilitated the seven-plus days with me. 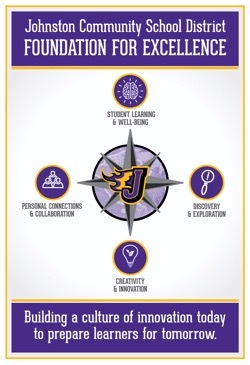 But, like District 59, every school system can make a sustained, strategic commitment to investing in its leaders’ ability to learn and grow so that they are able to better create and support school environments that foster deeper learning, greater student agency, authentic work, and richer technology integration. 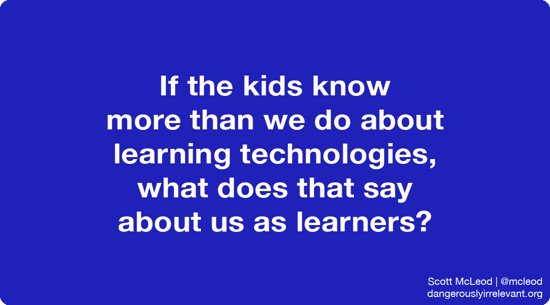 What is your school system doing to build its leadership capacity to foster 21st century learning environments?